a good account of the harm of tobacco. allow them to land here. reduction strategy to help smokers quit smoking. or “mild” as safer alternatives. tobacco use does not mean less cigarette smoking. addiction, adding to their customer base. Our experience with Subutex as a less harmful heroin substitute is similar. strongly advise against adopting such so-called harm reduction strategy. strict guidelines. 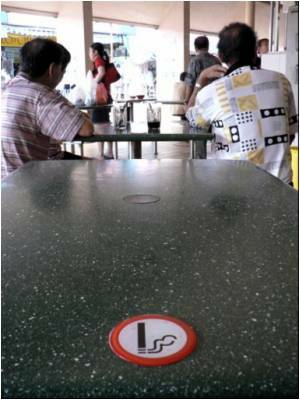 We do not prohibit nicotine used in such a manner. will keep an open mind about this. pregnant mothers bring to their infants if they smoke. penalty do not work as well. will not repeat them here. outlets frequented by young customers. tobacco labelling should this Bill be passed. warning labels. They were able to comply. we deal with internet advertising? him the next time I see him. for congratulatory messages and sponsorship publicity. Mr Hri Kumar has described past misleading behaviours by tobacco companies. This is unethical behaviour. I agree with his observations. amendments in the current Bill. But let me briefly address them. such as void decks and common corridors. but we will continue to use this strategy where practical and feasible. Mr Speaker Sir, I beg to move.